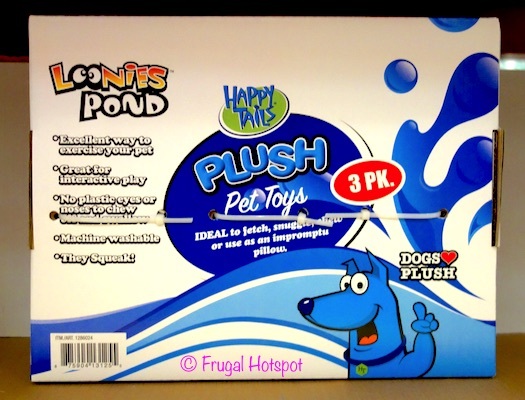 These plush toys are ideal for playing fetch or for snuggling and are such a great value! 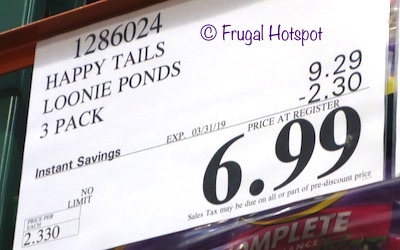 Select Costco locations have the Happy Tails Loonies Pond Plush Pet Toys 3-Pack on sale for $6.99 (after instant savings), now through March 31, 2019. That is $2.30 off Costco’s new lower regular price of $9.29. While supplies last. Item #1286024. 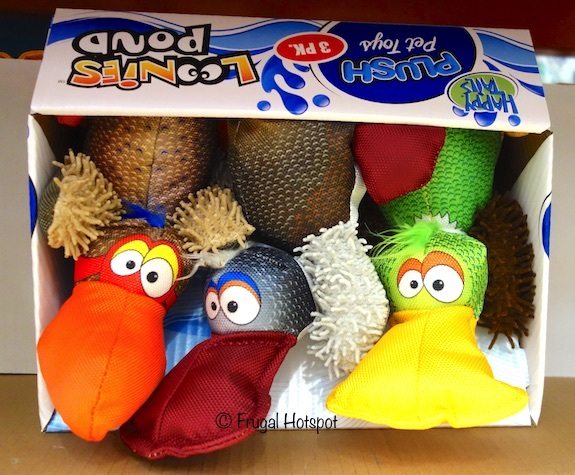 These squeaky toys are great for interactive play with your dog. There are no plastic eyes or noses to chew off and swallow. Plus, it’s machine washable.